The National Endowment for the Arts has announced the newest recipients of the NEA National Heritage Fellowships, and Nashville tailor Manuel Cuevas is among the recipients. Awarded annually by the National Endowment for the Arts, the NEA National Heritage Fellowships highlight the breadth and excellence of the artistic traditions found in communities all across the U.S. 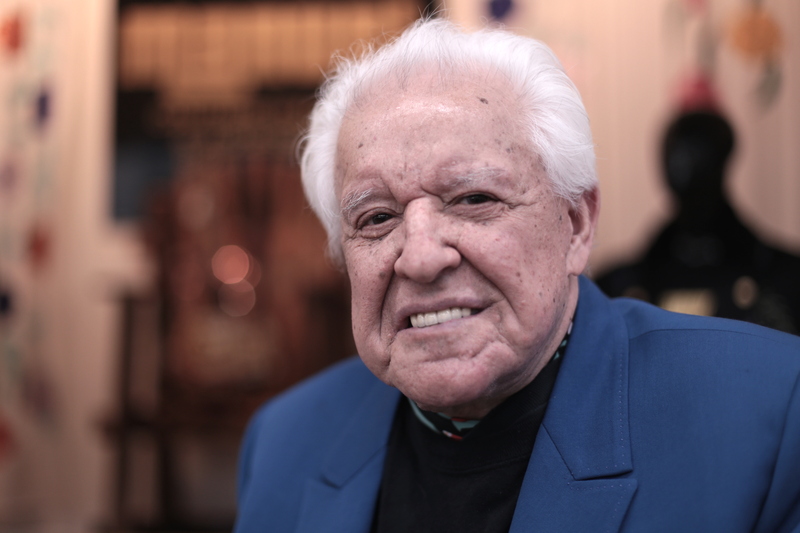 Known for his rhinestone-adorned, embroidered suits that were indispensable for country and western stars, Manuel has clothed everyone from Elvis Presley to Johnny Cash, and James Dean to John Wayne. His clothes have earned exhibitions at the Frist Art Museum, the Johnny Cash Museum, and are displayed extensively at the Country Music Hall of Fame. The 2018 recipients will receive a $25,000 award and be honored in Washington, D.C. at an awards ceremony on Sept. 26 and at a free concert at Sidney Harman Hall on Sept. 28, which will be streamed live at arts.gov. In addition to their artistic value, each of the Heritage Fellows’ art forms also reflects the community they come from and the history of the tradition, whether it’s a material art form such as Manuel’s iconic suits and the patterns of Feryal Abbasi-Ghnaim’s embroidery or a musical art form like Don and Cindy Roy’s Franco-American music.